SirT continues teaching on the purpose Jesus fulfilled when He came to earth! What was Jesus Mission? 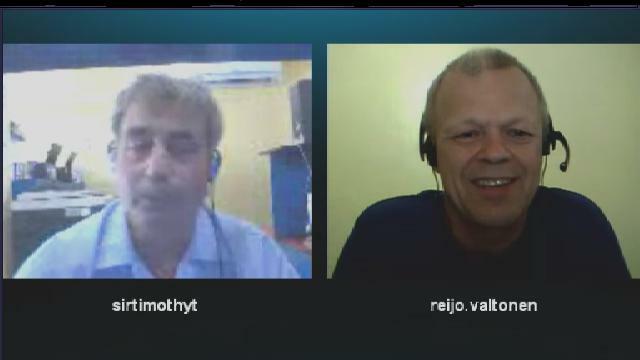 Our guest Brother Reijo Valtonen shares his findings on over 100 prophecies/visions of massive tidal waves hitting shores on the earth. Download the entire show by clicking “Download” on this page, then choose the format you want. Get the Word in your Spirit – and it’ll flow out of your life, available to help others, like Jesus Christ intended. Guest/Topic: Brother Reijo Valtonen – How over 100 prophecies seem to be indicating the possibility of massive tidal waves in the future. A missionary and pilot, brother Reijo Valtonen, discussed his personal research into over 100 prophecies and visions indicating the possibility of massive tidal waves striking the coasts of many areas on the planet. Could this take place in our immediate future? Sir T and WITTS has considered the likelihood of an event like this and also shared insights on the subject. Also, Brother Reijo had some interesting information from his own research about the early texts of the Bible. Could there be older sources of the New Testament than the Greek versions generally known? Here there are Old Testament Hebrew texts (and will soon have the latest ones representing the New Testament): http://interlinearbible.org He also says that Michael Rood – http://michaelrood.tv/ has further information on these New Testament texts. One of tonight’s videos included recent revelations about a massive underwater pyramid in the Bermuda Triangle Area. Sir T has spoken about this in past shows and elaborated on how it’s presence has impacted aircraft and ships traveling in the area. These pyramids are a form of advanced technology that we’ve only just begun to understand the implications. Q: Listening to previous programs, you mentioned that high end government put some guide lines for you. What are the guidelines that the government set for the producing free energy units? Q: When Job lost all his sons and daughters do you think God later restored their lives and resurrected them? Q: How do I tell the difference between believing in spirit and believing in(or by) mind? C: God is good! By listening to previous programs, He showed several things that I needed to change in my life. Q: I have a quick question on tesla bifilar pancake coils. I recently noticed that you had made quick comment on skycollection’s youtube channel earlier this week. So I’m assuming you have a lot of respect for this type of coil configuration. I would love to learn more about unique configuration with pancake coils. I believe they hold a lot of answers to energy solutions. Please correct me.. Are you able to comment on ways to make these pancake coils not affected by lenz law (I.e skycollection) ? Q: Would you comment on your interpretation of Mat 18:18 “Verily I say unto you, Whatsoever ye shall bind on earth shall be bound in heaven: and whatsoever ye shall loose on earth shall be loosed in heaven”? In my bible study today, I ran across this summation in Barnes commentaries “This promise, therefore, cannot be understood as extending to all Christians or ministers, for all others but the apostles may err.” Say it aint’ so, and if it is, what promises in the Bible are for every believer and what is limited to the apostles or the Jews of Israel. If you have not become familiar with the focus of the ministry, please take a moment to read the mission statement. Few organizations are offering the solutions to so many pressing issues faced by humans and planet Earth.